Click on small advertisement to view larger version. 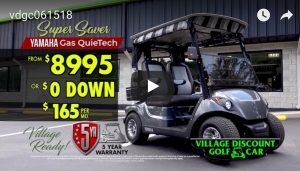 Or view our Specials Page for all our advertisements. 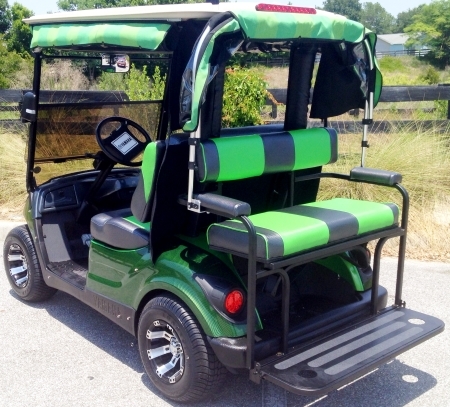 Ever wondered how a golf cart is built? 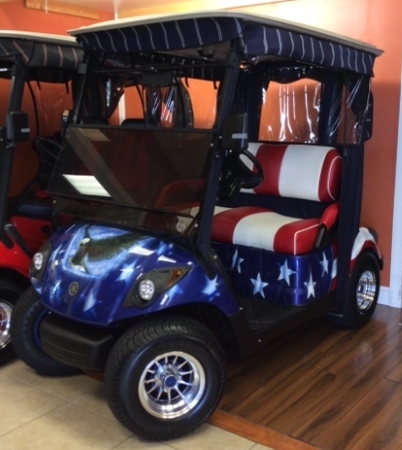 Visit our showroom for more choices. Click on the quick links, yellow for just yellow carts, etc. There you'll find directions, phones, address, email, and a form to fill out. 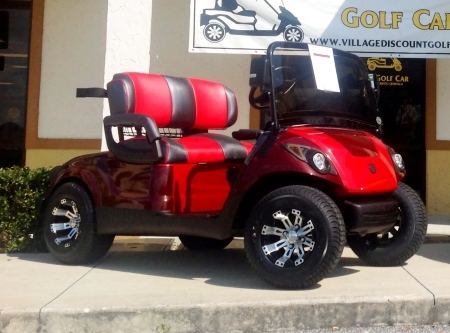 At Village Discount Golf Car our knowledgable staff will help you choose the right golf car for your needs. Customer satisfaction is our top priority. If you’re looking for high quality, value, and personal service, you’ve come to the right place. 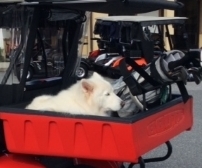 We have the best Sunbrella enclosure design in the business. 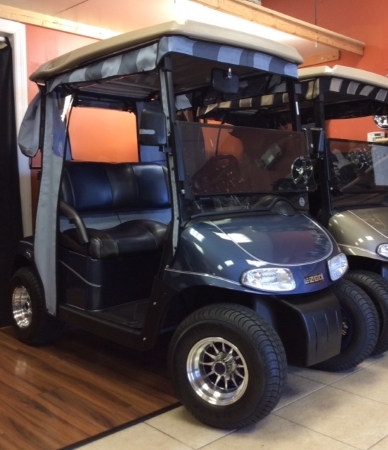 We sell reconditioned Yamaha & EZ-GO golf carts & factory remanufactured Club Car golf carts, gas & electric, accessorized to fit your personality. 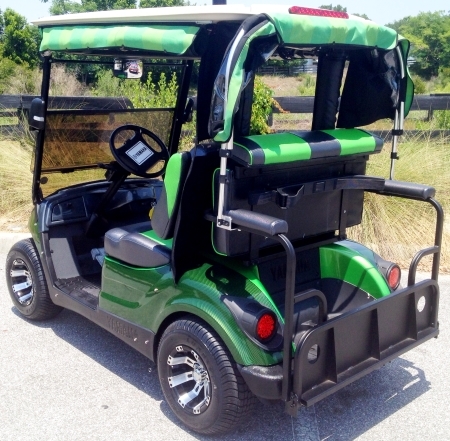 Below are some examples of the carts that we have built. 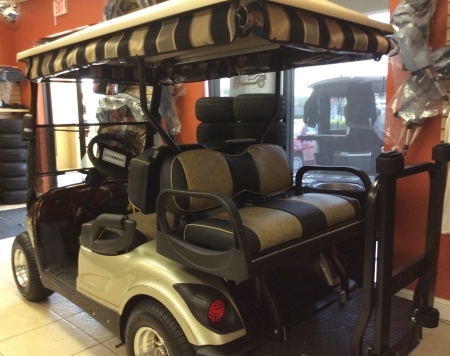 With rear sunshade and golf bag holder. 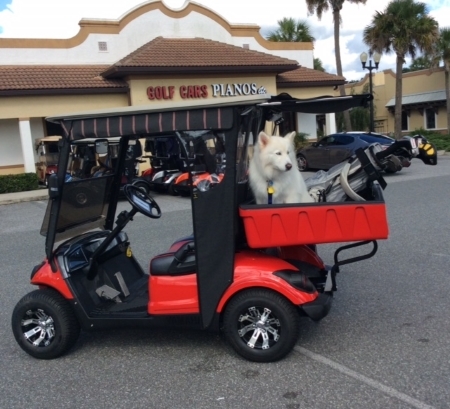 Great for Shopping, working around the yard, golf and puppy transport. 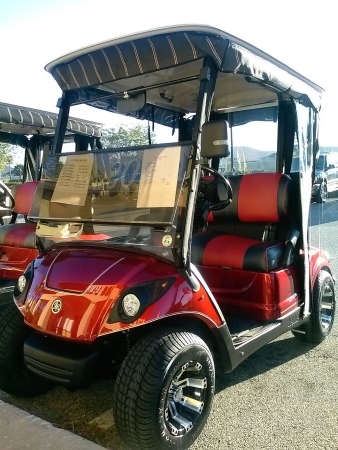 Flip Seat Combo 4 Seater short top Golf Car: 2 seater when you want it, 4 seater when you need it. 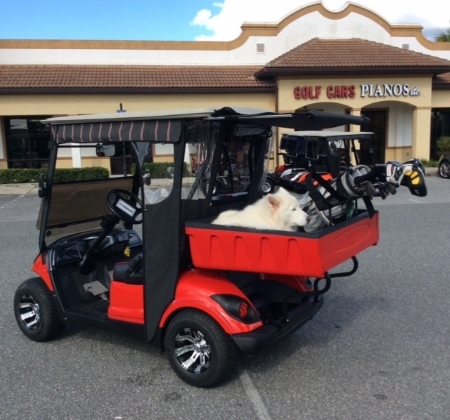 Roadster - Great 2nd Golf Car. No enclosure rattles, drives like it was carved out of one piece! A joy to drive. AC drive! 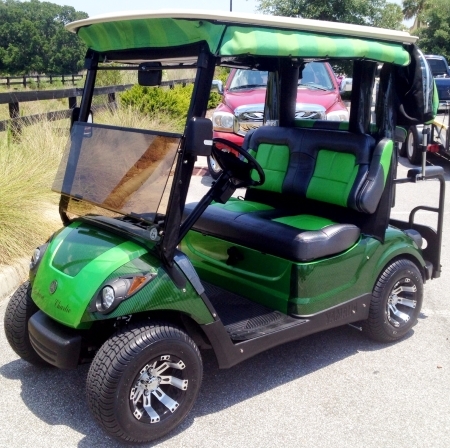 The Best Technology in Electric Vehicles. Come pick your colors! 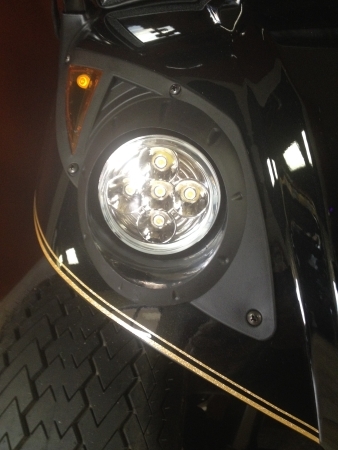 LED Headlights for your Golf Car, low voltage and 3 times as Bright. 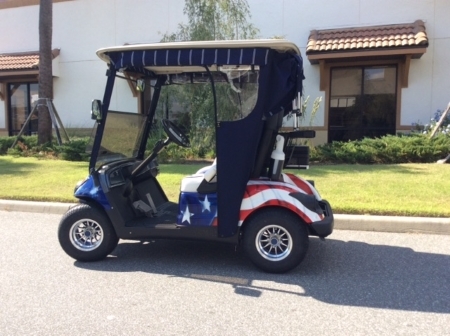 You can meet your/our Air Brush Artist and Design your own "one of a kind" Golf Car. If you can dream it, we can create it.